Today’s Budget for ‘the post Brexit future’ has been criticized for a lack of significant announcements on infrastructure projects such as Crossrail 2. London mayor Sadiq Khan also said he was ‘disappointed’ that the Government did not use the opportunity to pledge its support for Crossrail 2. However, Mr Khan welcomed publication of the London Devolution Agreement, which makes devolves further powers on transport, infrastructure and other issues to City Hall. Under the deal, London will pilot a new ‘Development Rights Auction Model’ for funding future infrastructure projects, which aims to provide significant funding towards future projects – allowing them to be built quicker and with less reliance on Government funding. 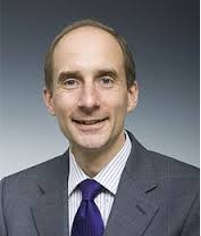 Lord Adonis, chair of the National Infrastructure Commission, said that while he welcomed the Government’s ‘positive’ response to the commission’s recommendations on mobile connectivity and 5G ‘the strategy around digital connectivity needs to be delivered coherently’. The North East Civil Engineering Contractors' Association said that unless further detail emerges from the transport secretary, it was an ‘underwhelming’ Budget for the region’s infrastructure needs. John Hicks, director and head of government & public at infrastructure firm AECOM, said the Budget was ‘peppered with announcements designed to offset any potential consequences of a hard exit from the EU’. Road Safety Markings Association chief executive George Lee welcomed the investment of £690m for tackling congestion on local authority roads but sounded a word of caution regarding the overall financial settlement for local roads. He said that by failing to acknowledge the ‘massive long-term issue on the maintenance and related safety of local authority roads' and focusing on shorter term funds, ‘the Government does not provide a lot of confidence that it sees the maintenance backlog as a live and pressing issue’.